October is a breast cancer awareness month so we are grateful AiRS foundation was there to shed the light on a topic rarely talked about, what happens after you’ve survived? There are many causes and organizations that are dedicated to funding research and a cure but the Alliance in Reconstructive Surgery (AiRS) Foundation, has stepped up to focus on a reconstructive surgery after mastectomy. “It has been impressive to see the number of organizations developed over time to educate about breast cancer, research and support funding to help find a cure. Through their efforts, from charity walks to pink products, they have provided such a needed service to the patients that have been diagnosed,” commented Morgan Hare, co-founder and Board Member of The AiRS Foundation. Ms. Hare started the AiRS Foundation in 2012 alongside her friend and business partner at eraclea skin care, Janet Denlinger, Ph.D and internationally known plastic and reconstructive surgeon, Dr. Rod Rohrich. “But what we realized is that after mastectomy, we go quiet and aren’t doing much to address the continued healing that needs to take place with women who have gone through a mastectomy.” The mastectomy is just part of the recovery process both psychologically and otherwise. Breast reconstruction is integral to this process of healing. Women who have been through a unilateral (removal of one breast) or bilateral (removal of both breasts) mastectomy are often unaware of their options for reconstructive surgery, which truly is a key part of the physical and emotional healing for survivors. It is estimated that 70% of women do not have options discussed with them or they are unable to pay for the surgery. That is where AiRS comes in—the focus of the 501(c)(3) non-profit organization is to raise funds to help women connect with doctors that can help them as well as assist with the costs associated with restorative breast surgery. “While the treatment of breast cancer has progressed, one third of all breast cancer patients will inevitably have a mastectomy. In addition, more women are being diagnosed with the BRCA gene mutation and will opt for a risk reducing mastectomy. It’s crucial that the medical community help educate and inform patients about their reconstruction options as an integral part of cancer treatment which can lead towards healing emotionally and physically,” adds Dr. Rod Rohrich. Dr. Rohrich is one of the co-founders of AiRS and is one of the many impressive board members for the organization. Other board members include Peter Cordeiro M.D., a Professor of Plastic and Reconstructive Surgery at Memorial Sloan Kettering, Alexes Hazen M.D., Assistant Professor in Plastic Surgery at NYU and Bellevue Hospital, Jay S. Orringer M.D., F.A.C.S., a nationally recognized plastic and Adjunct Clinical Faculty at the John Wayne Cancer Institute, and Kevin H. Small, MD, the Director of Plastic Surgery at the New York Bariatric Group. 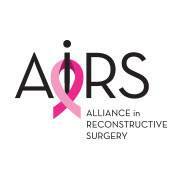 The mission of AiRS is to be a resource and a support system for the women who have lost their breasts as a result of breast cancer; educating them on surgical options, assisting with understanding their health insurance coverage, and ultimately assisting them with the cost of reconstructive surgery, if qualified. AiRS also strives to be a resource and provide education about reconstruction for physicians and medical communities, as well as caregivers and advocacy organizations.